Last week, smartereum.com reported that Ripple released its Q4 2018 report. This report showed a 25% decline in XRP sales by Ripple in the last three months of the year compared to Q3. There was also a drop in XRP trading volume. However, XRP sales for the entire 2018 summed up to about $535.56 million in XRP. 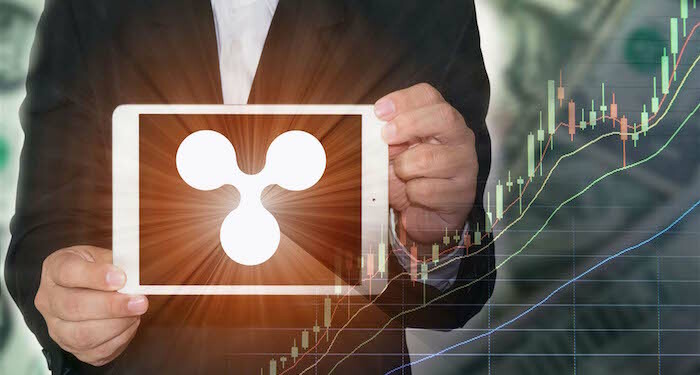 The Q4 report showed that Ripple sold $171 million tokens to institutional buyers. About $363 million was accounted for by sales made through third party market makers. The Silicon Valley-based company stated that it sold $129.03 million in XRP in Q4 alone and this was 25% less than what it sold in Q3 – $163.33 million. Throughout last week, XRP was trading in range against the USD as it formed a bearish triangle below $0.3200. There was a slight increase in selling pressure around the $0.3100 level. Eventually, XRP fell below the support at $0.3070 which was also below the 100 hourly SMA. The sellers continued to apply pressure until the price fell below the support levels at $0.3050 and $0.3020 forming a new low at $0.0300. It was evident that XRP was going to break this new support. This is exactly happened this morning after a bearish weekend. This morning, XRP saw sellers at $0.3020 forming a resistance at the 23.6% retracement level of the last fall from $0.3075 to $0.2997. A bearish trend was formed with resistance at $0.3030 and $0.3032 acted as a barrier for a while. What’s more, the 50% retracement level of the last low from $0.3075 to $0.2997 was around $0.3036. This created a resistance around $0.3030 and $0.3040. A lot of selling pressure was developed below the $0.3040 according to the price analysis of Aayush Jindal from NewsBtc. This was what led to more decline below the $0.3000 level pushing XRP to create support at $0.2920. Unfortunately, the support was unable to hold the price for long as the buyers eventually took control of the market pushing the price of XRP to $0.298063 at the time of writing. This means that it is down by 4.58% against the USD and down by 1.48% against BTC. The trading volume over a 24 hour period is $447,758,785 and the market capitalization is $12,269,291,070. The MACD on an hourly basis is gaining bearish momentum due to the increase in selling pressure while the relative strength index is in the oversold region. Keep in mind that it is currently taking a bearish angle. There is support at $0.2700 and strong resistance at $0.3040. Obviously, the sellers are losing momentum and a price correction may be attempted soon. XRP is still the second largest cryptocurrency per market capitalization. The price needs buying pressure to gather momentum this week. Otherwise, XRP, like almost every other coin in the market, will keep trading in red. What do you think led to the decline in the sale of XRP tokens by Ripple during the fourth quarter of 2018?